In Future Market Insights’ market report titled, “Automotive Aftermarket: ASEAN Industry Analysis and Opportunity Assessment, 2016-2026”, poor road infrastructure and extended vehicle life have been identified as profitable factors for the growth of the automotive aftermarket in ASEAN. On account of growing out-of-warranty car parc, the US$ 19.3 Bn ASEAN automotive aftermarket is predicted to surpass US$ 48 Bn in revenues by 2026 end, increasing at a healthy CAGR of 9.6% through 2026. SINGAPORE and China pledged on Monday to cooperate on China’s infrastructural “project of the century”, but observers say the city state is likely to catch only a few droplets from the flood of monies. 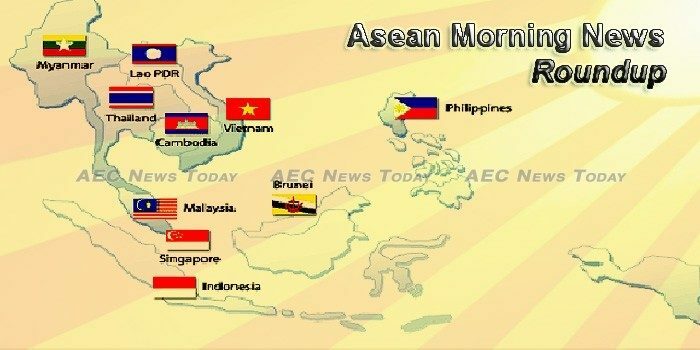 Analysts have forecast a decline in the economic growth of ASEAN, China, Japan and South Korea, known collectively as ASEAN+3, owing to global economic volatility. Vietnam faces tough going as it works to develop an upstream auto-parts manufacturing base, and meanwhile, regional liberalization through the ASEAN trade bloc is threatening the country’s vehicle-assembly segment. The inaugural Africa-ASEAN Business Expo (AABE) 2017 launches 6-8 November at the Sandton Convention Centre to establish a new trading launch pad between the two most vibrant economies in the world. The total trade volume of the Association of Southeast Asian Nations (Asean) with the Republic of Korea is projected to increase to US$200 billion in the next three years, the Asean-Korea Centre reported on its website recently. Multipolar anarchy to fill gap between hegemons? The collapse of the Anglo-American order creates opportunities for regional groupings like Asean and EU to work together to strengthen multilateral institutions. Interpol has initiated a coordinated border operation between immigration and police agencies in Southeast Asia to prevent the movement of criminals or terror suspects and increase security in the region. DFCC Bank and Synapsys along with their partner Oracle recently launched the Oracle Planning and Budgeting Cloud Service together with a Customer Profitability Analytics (CPA) system, which is built on Oracle’s leading platform. WaveMaker Partners, a giant venture capital firm with offices in Los Angeles and Singapore, is closing in on a $50 million fund for Southeast Asia, with Indonesia placed as a key market, the company said in a statement dated Thursday (09/06). The relations between Cambodia and Thailand can be appropriately labelled as a love-hate relationship, given the long history of bilateral ties between the two neighboring countries. However, racial hatred, arguably, seems to have prevailed among many, if not most, of the people of both countries, at least during the three-year Cambodian-Thai border dispute that started in July 2008 over the territory surrounding the 11th century Preah Vihear Temple (known as Phra Viharn in Thailand). Companies operating in Cambodia have seen the process of obtaining work permits for foreign employees become easier and more transparent since the Labor Ministry started a website in September run by the private sector, industry experts said. The number of foreign tourists visiting Cambodia in 2016 rose 5 percent to five million, bringing in about $3 billion in revenue, the prime minister said on Monday. As the National Election Committee launched into the recount process for contested communes yesterday, an election watchdog coalition announced it had found that 95 percent of a sample of polling stations’ vote count forms from the election body matched those compiled by the group itself. State-owned reinsurance company Indonesia Re is ready to reduce foreign exchange outflow to up to Rp20 trillion, or about US$1.5 billion. Indonesias manufacturing industry rose to the 9th place in the world after having ranked among the top 10 since 2015, according to Industry Minister Airlangga Hartarto. The Governor of Bank Indonesia Agus Martowardojo projects year-on-year inflation rate in 2017 of 4.36 percent, an increase compared to late 2016 of 3.02 percent, mostly attributable to pressure from administered prices. Currently, almost 90 percent of new graduates are without jobs, with the labour market demand at only 10 percent of total graduates. TRIS Rating has affirms the company rating of EDL-Generation Plc and the ratings of the company’s senior unsecured debentures at BBB+. Attapeu province in southern Laos has huge untapped tourism potential but still lacks the funding to develop these tourism sites and roads access, officials have confirmed. Chinese e-commerce giant Alibaba Group Holding Ltd on Monday (Jun 12) said it is launching new sales channels in Singapore, Malaysia, Hong Kong and Taiwan as China’s deep-pocketed e-commerce firms vie for new users in the region. Controversial businessman Low Taek Jho, better known as Jho Low, bought the penthouse, an office building and another flat, which are all located at the upmarket Mayfair district using £77 million (RM416 million at current rates) from Malaysia’s state-owned fund. CIMB IB Research has maintained its “Overweight” rating on the banking sector and said banks’ net profit increased by a strong 14% yoy in 1Q17, underpinned by lower loan loss provisioning and wider topline expansion. Construction of substations and transmission lines by the Ministry of Electricity and Energy to provide electricity to new towns and regions is part of the 5-year plan beginning in fiscal 2017-2018, Deputy Minister Dr Tun Naing said at last week’s Pyithu Hluttaw session. The historic Yangon-Mandalay railroad, better known as the Death Railway, is in dire need of a facelift. Actions will be taken against those who sell state-owned land in accordance with the law, said Yangon Region Chief Minister Phyo Min Thein at a press conference on the regional government’s first in office on June 9. OFFICIALS of American giant GE said last week the Philippines could potentially achieve $10 billion (P495.45 billion) in savings over a 25-year power-plant life cycle and an estimated 16 million tons in carbon-dioxide reduction annually if it maximizes the efficiency of existing and new power-generation assets. Singapore-based DBS Bank said it is seeing early signs of an overheating Philippine economy – making a case for a monetary policy tightening in the coming months. Chinese e-commerce giant Alibaba Group Holding Ltd on Monday said it is launching new sales channels in Singapore, Malaysia, Hong Kong and Taiwan as China’s deep-pocketed e-commerce firms vie for new users in the region. Retail sales expanded in April from the same period last year as discretionary spending increased amid a surge in visitor arrivals in the first quarter. In line with the Government’s push for farming productivity in Singapore – such as the recently enhanced Agriculture Productivity Fund and the announcement that farmland would be set aside to promote high-tech farming – more farms are exploring new methods to grow crops previously thought to be impossible to cultivate in Singapore’s climate. A strong baht is expected to hurt inbound tourism by driving up the cost of travel and narrowing industry margins, say public and private players in the tourism sector. THAILAND can run fiscal deficits for a further eight years to boost economic growth, Finance Minister Apisak Tantivorawong said yesterday in an exclusive interview with the Nation Multimedia Group. Charoen Pokphand Foods Public Company Limited (CPF) has introduced a CPF food standard project in an effort to build consistent quality and food safety management systems across its integrated feed-farm-food operations. The country’s inflation this year is forecast to reach 2.6 per cent barring fluctuations of prices on world markets and adjustment in the cost of public services, the National Financial Supervisory Commission (NFSC) reported on Monday. With 83.5 per cent of votes in favor, the National Assembly (NA) passed the Law on Supporting Small- and Medium-sized Enterprises (SMEs) on June 12. The People’s Council of Ho Chi Minh City has issued a resolution centered on the environment, in which it promises a citywide purge of pollution-causing facilities by 2020.